One disease could see as many as 100 million dead. 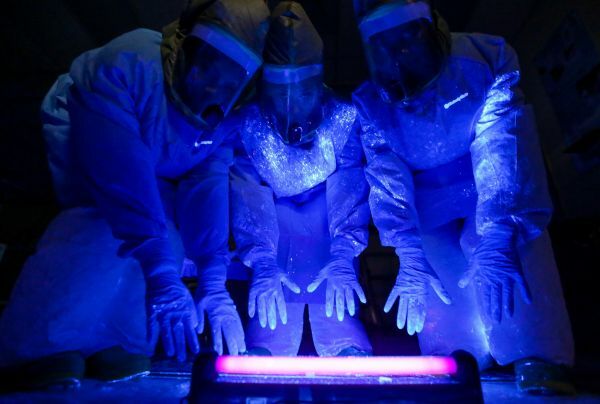 A black fluorescent light shows where a simulated bodily fluid containing a mock Ebola virus landed on a care team’s personal protective equipment, during a training exercise at Madigan Army Medical Center’s Andersen Simulation Center. Surveillance is one of the most vital forms of protection the world’s public health agencies can offer, but these agencies rely on the money of the governments they serve. And in the United States, which is presently enduring a flu season of record-breaking severity, the Centers for Disease Control and Prevention (CDC) recently announced they would be cutting their epidemic prevention programs back by 80 percent. 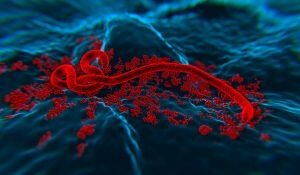 Programs for preventing infectious diseases, such as Ebola, are being scaled back in 39 of the 49 countries they’ve been employed in, according to The Washington Post. The reason? Quite simply, governments are pulling money from these programs, and it’s not clear whether any more will ever be allocated — at least, not in the U.S. during the current administration. We know that the quality of pre- and post-natal care a person receives when a child is born has a direct impact on how soon they’re able to return to work (if they choose to). If we want our children to grow up healthy enough to become functioning, contributing members of society, then the quality of care they receive from birth throughout childhood can’t be underestimated. While Tedros acknowledged there’s no guarantee we’ll one day create a completely pandemic-free world, what is within our reach — if we have the investment and support — is a world where humans, not pathogens, remain in control. We can do better. And if most of us are to survive in the long term, we must.